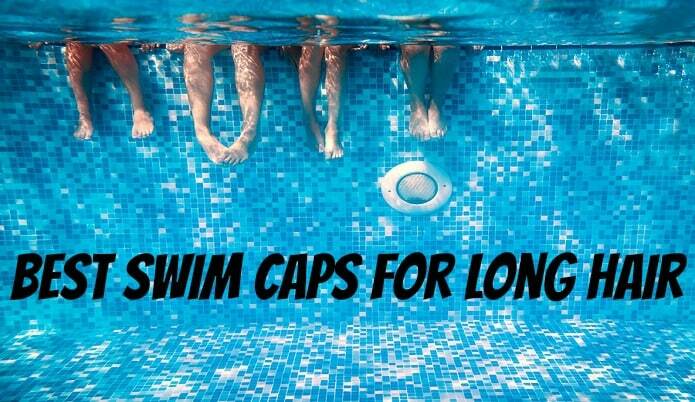 In this article you’ll get my reviews on the best swims caps for people with long hair; the ones I believe that are the best anyways. At the time of writing this it is summer here for me (USA) and my 7 year old daughter can’t get enough of the pool so we’re in the pool multiple times a day on the weekends. Getting out of the pool and back in multiple times a day caused some annoyance when it came to my hair because I got tired of drying it so many times but I still wanted to go swimming. 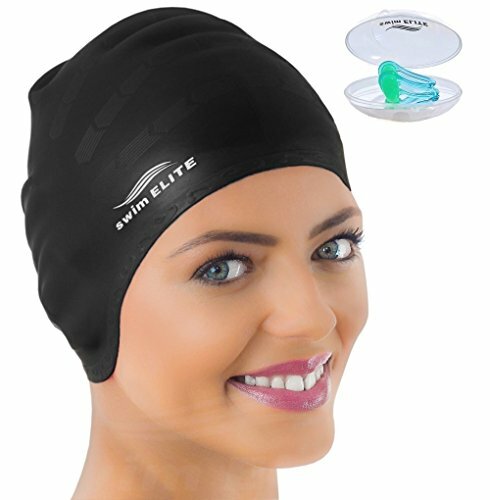 This led me to looking into swim caps more but since I have long thick hair it made my search a little bit more difficult. This is why I’m writing this article to hopefully save some people sometime and headaches trying to find which swim caps they should use. 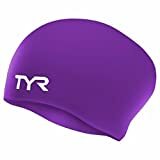 This swim cap caught my eye first off because the great looking purple (my favorite) it has. Then after reading the reviews I decided to give it a shot. Well usually I’m not this lucky but the first one happened to be my most favorite. The fit was perfect for my head, not to tight or loose. The design around the ears is really what sold me because I hate the feeling of my ears pressed against my head. I had no problem with water coming through or it staying put so it did exactly what I needed it to do and looks really good on top of everything else. I’m not sure how many colors they offer overall but You can pick between 6 different ones on the amazon page (where I bought mine). The swim elite cap was a very tough decision on whether I liked it more than the TYR cap. The ear pockets they have on these things are incredibly comfortable for your ears. Fitting wise was great real simple to get on and off. The banded area around the end was well made for keeping tight and not letting water in. Downside was they don’t offer to many color choices for these just the simple blue, black and pink. I would say this swim cap is perfect for those who have larger ears than your average person. I almost forgot to mention that this cap also comes with a nose clip for helping prevent water going in your nose; this was a nice extra bonus surprise that I didn’t know about when I ordered it. 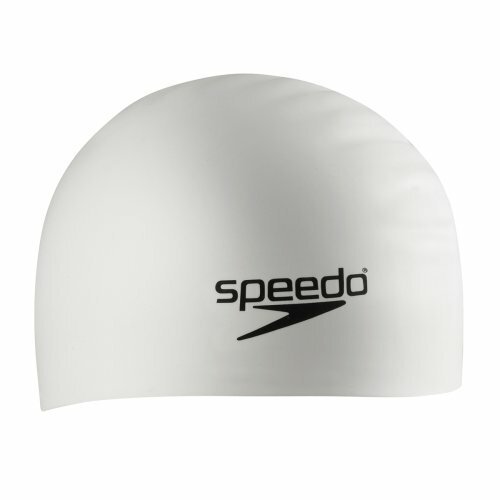 The Speedo cap comes with a more simple design than the others but simple doesn’t mean bad. It is very stretchable which is great for pulling over your hair and it does a good job of keeping water coming through. The only issue I had was it might be just a little to snug for those with exceptionally long/thick hair. For most people this cap should work perfectly though; just wanted to throw that information out their though. 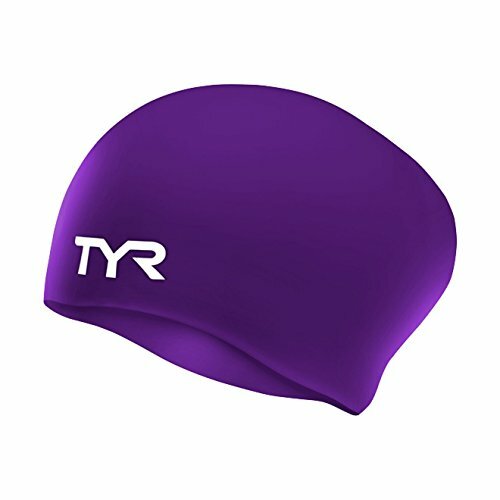 I’ll be answering a few common questions I see for those that are first time users of swim caps or just never really understood how to use them. To start put your hair up in a bun. 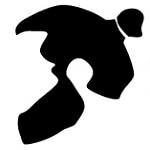 Next put your hands inside your swim cap to where the swim cap is touching the outside of both of your hands (think of it like your clapping with the swim cap on top of your hands). With your hands inside of the cap stretch it out (left hand goes left, right hand goes right) to where the cap is long enough to go over your head. Now pull the cap over your hair and ears and then pull your hands out once its covering the ears. Final step is just tuck any loose hairs hanging out of the swim cap up inside of it. That’s it now you hit the pool! Do Swim Caps Keep Your Hair Dry? Yes, this is what they’re designed to do. Make sure you have it on correctly to ensure this. A very common question I see a lot. You can usually find them at your larger chain sporting good stores like Academy or Dicks Sporting Goods, however the selection may be a toss up. I always buy mine straight from Amazon because of the selection. You may be able to find them in some small retail outlets but I would suggest calling ahead to save you a trip. Overall I say just buy them from Amazon and save gas/time. 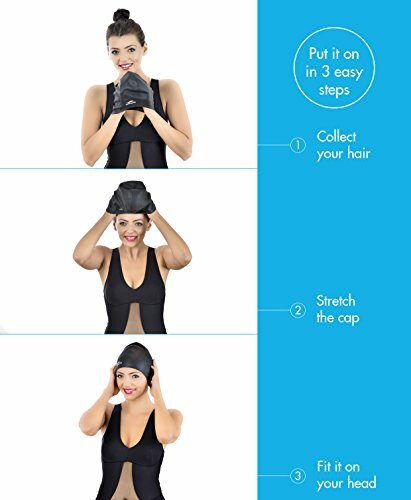 Overall all of the swim caps mentioned in this article would do the trick for keeping your hair dry. However with today’s time we have a ton of options when buying products that some may work better for others for whatever reasons. So even though I like all of the ones here I still have to give my best pick to the Tyr swim cap. I always like to hear opinions of those who’ve tried the products I review so if you have an opinion on these just let me know. It would be nice to hear the thoughts of those casual swimmers and the ones that compete to get a nice overall range of opinions.